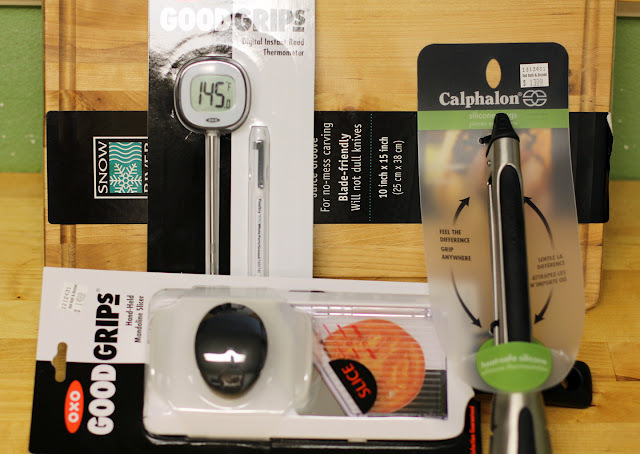 The No Pressure Cooker: Tortillas an Anniversary and a GIVEAWAY! Amazingly, a year has flown by!! Antoinette and I have written 82 recipe posts, we've made foods we've known and loved for years, and we've tried things we've never had before. Our friendship has grown, our palates have grown and people have viewed our blog 13,461 times! My baby turned 1 year old and Nette has a bun in the oven!! It's been an amazing year and we want to thank you for reading our posts, emailing us with ideas and comments, following us on Pinterest, connecting with us on Facebook and coming back again and again. 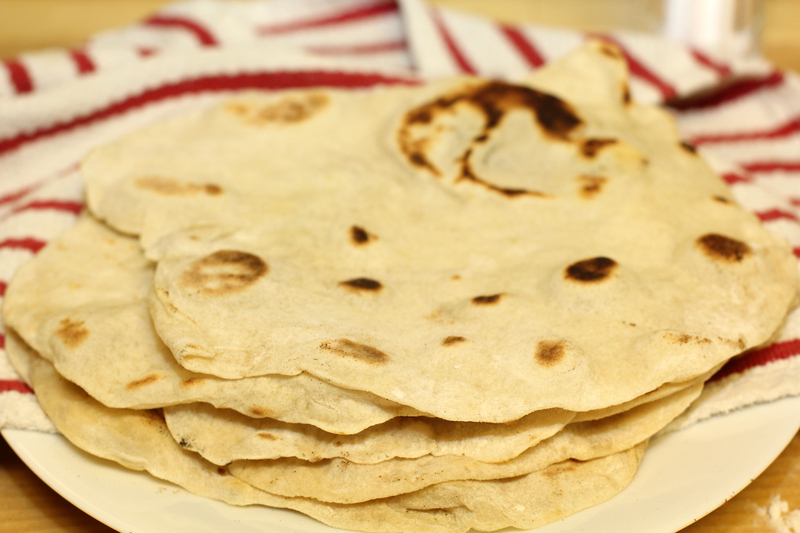 So... we'd like to thank you with the gift of a homemade tortillas recipe and a GIVEAWAY! First, the tortillas. I grew up in a town with amazing Mexican food. I have taken good tortillas for granted for many years. Good tortillas, in my opinion are toasted in spots, a bit chewy, not too thick, and that charred flour flavor is just as amazing on tortillas as it is on fresh bread! I'd been intimidated by making my own, but went for it to soak up the last bits of carnitas I made over the weekend and it's easier than I ever imagined. I found this recipe on a blog called Mexico in my Kitchen - you'll definitely be seeing more of that recipe inspiration on this blog coming from me! In a large bowl, combine flour, salt, baking powder and shortening. Using your fingers, stir together all ingredients and blend the shortening into the flour until it looks like course meal. Next add in the water all at once and continue to stir with your hands. Knead the dough first in the bowl and then on a floured surface until it is smooth and not too sticky. My dough sucked up another 1/4 cup of flour. Divide the dough into 10 balls and roll them in your hands until shaped properly. Cover them with a dampened paper towel and let them rest for 30 minutes. Once the dough has had a chance to rest, heat a cast iron skillet or griddle to just under high heat and roll a few balls until they are about 10 inches in diameter (I made ZERO round tortillas, but my egg-shapped-horned-oddly-triangular tortillas were amazing!!) The skillet or griddle should be really nice and hot. Place a tortilla in the hot, dry pan and let it cook for about 30 seconds. Using tongs, or a spatula, flip the tortilla. If it takes much longer than 30 seconds to get some nice charred spots on the tortilla, crank up the heat under the pan a bit. The tortillas are done when both sides have charred spots and when you press them with the tongs or spatula, they don't change to a damp-looking color. After half way through the tortilla balls, I had to cranked up the heat from medium-high to high. I ended up cooking these on high heat. They went faster and worked better. I rolled 3 tortillas in the beginning. After that, I rolled the next tortilla as the last one cooked. Sometimes I got big steam bubbles, but that turned out OK, just pop them and keep cooking. You may see my pan with a greasy sheen... I re-seasoned this pan the day before due to some lazy washing. You won't need any grease. Antoinette and I want to thank you all for visiting our blog. This has been such a great adventure for both of us and we are both are so grateful for the support our friends and families have given us. Neither of us have a zillion cooking tools, or any professional gear, but we have some faves that we would like to share with you. A digital thermometer, a hand-held mandolin slicer, silicone tipped tongs, and a wooden cutting board! I would love new items for my kitchen. Thanks! Jody, thank you for your great note! You are our WINNER! Please send your full name and home address to our email address nopressurecookercontact@gmail.com and we'll get the goodies out to you ASAP! Enjoy! Just remade the Rosemary Turkey Meatloaf a few days ago. So good! Please enter me into the drawing for the prize pack giveaway. Congratulations on your first year anniversary! I look forward to more stories and recipes! Your photography is great! Great giveaway... Thanks and congrats!